Bangalore, India: Myntra has flipped its archetypal M logo, turning it up to a W, in honor of women, on the occasion of International Women’s Day today. The move not only highlights Myntra’s appreciation and acknowledgement of the contribution of women in every sphere, but also confers a special status to all women, who are heroes in their own right. It is also intended at motivating them to be bold and confident and celebrate their life in style. 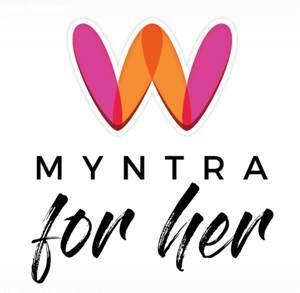 On this special occasion, Myntra has launched a campaign #MyntraForHer, where over 35000 new season styles from over 2000 brands are allowing women shoppers the perfect opportunity to flaunt their style and make a statement. As a special surprise, Myntra also introduced a limited period luxury flash sale with some of the leading brands in the world of fashion and launched half a dozen new brands to woo the fashion conscious. The fashion house has also released a series of short and snappy films showcasing witty women who are sure of themselves and their choices, as a special tribute to mark the event.